The trek is a 6 day expedition with little challenges posing here and there. We start at Haridwar, a well-known pilgrimage spot in India. The trekking on foot actually starts on the second day. Beginning from Haridwar we will be covering approx. 250 kms by road to reach Joshimath. In between the locales that we cover are Rishikesh, Devaprayag, Rudraprayag and Kanrnprayag. These pilgrim centres are the confluences of quite a few holy rivers. We drive 12 kms from Joshimath to our starting point of walking trajectory. The second day covers 5 kms of route and takes around 4 – 5 hours to complete the first lap. We will be covering few quaint villages on the way to the Gulling Top Camp site which is at the elevation of 9600 ft. Dronagiri, Hathi, Parvat and Gori Parvat are few peaks we will be greeting on day 2. The third day will be little tiring as the trail is much steeper to hike than the previous day’s gradual ascent followed by hilly terrains. We will be passing through oak, rhododendron and walnut forests on way up to the Khulara camp site situated at 11, 122 ft. The third day covers 6 kms of walking trail that will take around 5-6 hours of journey. Along with the previous day’s peaks glimpses, you will also be spotting the famous Nanda Devi peak and Kalanka and Chang Bang. This is the day we have all been waiting for, The Pangarchulla Summit day. Without going into details and to sum up, we will be covering 12 kms of continuous trek where the challenges will be to face steep sleek terrain ascent followed by meandering through villages and forests. The highest altitude is reached on 4th day scaling up to 14, 700 ft. We return back to Khulara on the same day. Day 5th and 6th will be journey back to Haridwar following the same trail – Khulara to Dhak Village to Joshimath, and then a drive to back to Haridwar. • The trail is a mix of steep and gradual ascent, mostly through villages. • First half is steep ascent and second half is gradual ascent. Note: On Day 6, you’ll reach Haridwar between 6 pm and 7 pm. You can book your travel any time after 8 pm. Haridwar is celebrated famous pilgrim site and is situated at a distance of 222 km from the national capital. From Delhi, you need to book an overnight bus or train journey spanning about 6 hour and reach Haridwar railway station (which is just by the corner of the main bus depot). Here we will meet you at 6:30 am and our journey shall commence. Enroute Joshimath, we will take the course of river Ganga and cross the famous river-bank pilgrim towns of Rishikesh and the 5 Prayags or confluences. Rishikesh, besides its ambience of peace is also known for white-water river rafting. Those interested could book a stay here for a few days prior to the trek and we can pick you up on the way to Joshimath. Breakfast and lunch could be found at roadside inns along the Badrinath Road and this will be exclusive of charges you pay for the trek. 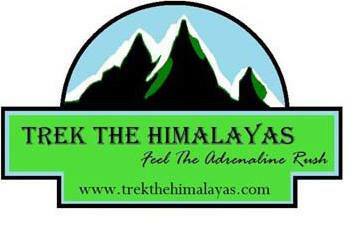 By 5 pm, at the hour of sundown, we will pull in on the dive way of the Joshimath guest house, in time for refreshing hit tea followed by an opening dinner and briefing from your Trek Leader. Next day, by 7 am we will set off for Dhak village after having breakfast at the guest-house. From Dhak the trek will begin. The drive from Joshimath to Dhak of around 40 minutes will introduce you the mountain kingdom surrounding the town. Look out for the amazing “Sleeping Lady” mountain, visible clearly from the heights of Joshimath. Collect your refreshments and start the trek from Dhak road-head marking the uphill bent towards destination. The gradually ascending trail keeps the village on the right and takes a dusty, rocky hike of gradual ascents. Without any major difficulties, we reach Karachi village from where the trail inclines by gushing streams. Feast your senses in the greenery of the farming steps cut across hills and the high mountains towering over from all around. The gradual gaining of altitude here must be supported by thorough hydration therefore you must keep filling your bottle at village water points. At 8040 fee, you will be reaching Tugasi village, and with that, we cover about 3 km of the whole trek. Tugasi is picture of a typical high-altitude Garhwali Himalayan village with their wooden houses, storage places, and ranch. You will come across shepherd clans, farmers, and other agrarian people in this village set in the backdrop of mountains. After immersing in the different flavor of life for sometime here, we move towards our next stop- the hamlet of Gulling. The next day’s trip is a straight ascent of 6km spanning 5 hours approximately. The destination- Khulara is a campsite in the clearing amid coniferous forests of blue pine, oaks, and rhododendron. We set out today after breakfast prepared mentally for a difficult hike. Greeted with sharp curves with deep ravines gaping at one side, we move along never feeling cheated out of the beautiful vista promised. The forests seem to smile up suddenly here and there where rhododendrons have bloomed in thickets of pink and red. From a little inside the forested trail, snow becomes part of the scene. Rich growth of Silver Birch and Spruce hovers over the snow covered forest floor making Pangarchulla an in-depth snow trek. Late into the day, Khula is reached. Lunch tastes extra delicious today after this testing trek. The afternoon and evening can be resrved for acclimatization relaxed walks around the clearing. The fourth day is scheduled for a less exhaustive trek before the final strike the summit. Starting after breakfast from Khulara camp, we make our way skirting the forest lands towards the Peak and some 40 minutes into the trail, the scenery changes from tree covered shadowy trails to open meadows. In winters, this meadow becomes a spectacle—white snow falling like a great shroud all over the place as far as eyes can see. If you are trekking in the winters, make sure to arrange for gaiters from today and micro spikes or crampons for your sneakers would be provided from the house. Remember that the wind in the open meadows can get real forceful during, so come prepared with heavy balaclava and warm woolen caps. On this big day, we start at 4 in the morning at the crack of dawn and set off on fresh snow for the summit hike. It is necessary to be equipped with at least 2 liter of water as there are no water sources from here. Multiple steep climbing points on the way makes this stretch laborious. The first 30 minutes of the ascent is a thorough ridge climb which you will know has ended when a vision Pangarchulla Main and auxiliary peaks rise right up ahead. After the ridge walk, level snow grounds spread ahead giving you a scope to catch your breath. For this region and further up, your group may require cutting through the thick carpet of snow manually—an exhaustive task assigned to the one who leads. Before reaching the base of Pangarchulla Main, enjoy this level snow patch from where you will get a terrific detailed view of the Chaukhamba massif, flanked by Mana, Kamet, Hati-Ghodi and other snow caps. From the base of Pangarchulla Main Peak, it once again becomes a steep ridge climb. Except in the summer months, the lofty hike route will have to be opened maybe with help on an ice-axe. At about a distance of 100 meter away from the summit, the team has to be tied in together with a harness. The knife-edge cut in the middle of the ridge should avoided as you step. Expect high squalling wind with currents. At the summit point, you will come face to face with the Garhwal snow peaks in all their glory, especially Nanda Ghunti, which will come to fore for the first time with all the detailed ridge lines revealed. It’s the macrocosmic view point from the summit that makes Pangarchulla such a sought-after trek in Uttarakahnd. The descent to Khulara from here will be 3 hour feat. Special attention is called for the each step down along the ridge line. On the way down from Khulara, one by one the snow peaks will pop out of view and the same old village trails will remind you of the end of the journey. From Dhak, a car ride into the dusk will take you back to life at the Joshimath guest-house. After sleeping over the unforgettable experience of scaling Pangarchulla, today we go back city-wards. Your car will be waiting around 6 in the morning. Bidding adieu to the gaze of the hills, you will descend down to civilization reaching Haridwar by 6 in the evening in time for your overnight journey back. There is regular bus service from Delhi for Haridwar from Delhi’s ISBT Kashmiri Gate. Usually buses drop you at Haridwar ISBT. From there you have to come to Haridwar Railway Station. TTH’s Tata Sumo or similar vehicles will pick-up you from Haridwar Railway Station at 6:30am. Pick-up is included in the cost of the trek. You will reach Joshimath by 5:00 pm. Food from Haridwar to Joshimath is not included in the trek cost. Approx Trekking Km :- 34 Kms. 7. Services from Haridwar to Haridwar. Normally TTH expect to carry your personal luggage on your own, if you don't want to carry your backpack so you can give it to porter/Mules, but you have to informe us in advance and have to pay Rs. 300/- extra per day per bag.